Long non-coding RNAs (lncRNAs) are a class of potent regulators of gene expression that are found in a wide array of eukaryotes; however, our knowledge about these molecules in plants is very limited. 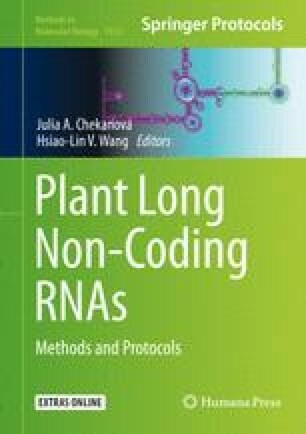 In particular, a number of plant species with important roles in biotechnology, agriculture and basic research still lack comprehensively identified and annotated sets of lncRNAs. To address these shortcomings, we previously created a database of lncRNAs in 10 model species, called CANTATAdb, and now we are expanding this online resource to encompass 39 species, including three algae. The lncRNAs were identified computationally using publicly available RNA sequencing (RNA-Seq) data. Expression values, coding potential calculations and other types of information were used to provide annotations for the identified lncRNAs. The data are freely available for searching, browsing and downloading from an online database called CANTATAdb 2.0 (http://cantata.amu.edu.pl, http://yeti.amu.edu.pl/CANTATA/). This work was supported by the National Science Centre (grant No. 2014/15/D/NZ2/00525 to M.W.S); the KNOW Poznan RNA Centre (grant No. 01/KNOW2/2014); the Polish Ministry of Science and Higher Education (decision No. 1268/MOB/IV/2015/0 to M.W.S - Mobility Plus project).